I am about 10.5 weeks along with twins. About 8 months ago, I went through some weird depression or something and lost about 50 lbs in three months. I was about 195 lbs and now down to 140 (went from size 16-18 to size 10!). Started eating better, but still losing weight??? is this normal? I am looking at all of these pics at around 10 -11 wks to compare, but not sure if mine is baby bump or just leftover chub. Lost a lot, but never toned. I will have to submit my photo for further evaluation by all you "experts by experience"! LOL! May your troubles be little ones. Congrats! That's great it's a wonderful feeling. I have a 15 year old daughter and a set of twin girls that are 13 years old my 2nd pregnancy. I am 8 weeks 2 days pregnant, we went to the doctor and found out it's twins. Excited and scared at the same time! You look great though! 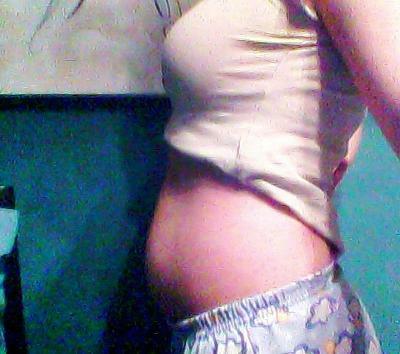 I'm currently 8 wks & 5 days prego with twins. I have a 9 year old little girl, which must say has been a big help. ;) but I've never experienced twins before. My belly is about the same size as yours. Hope I go back after pregnancy. Lol when is your due date?